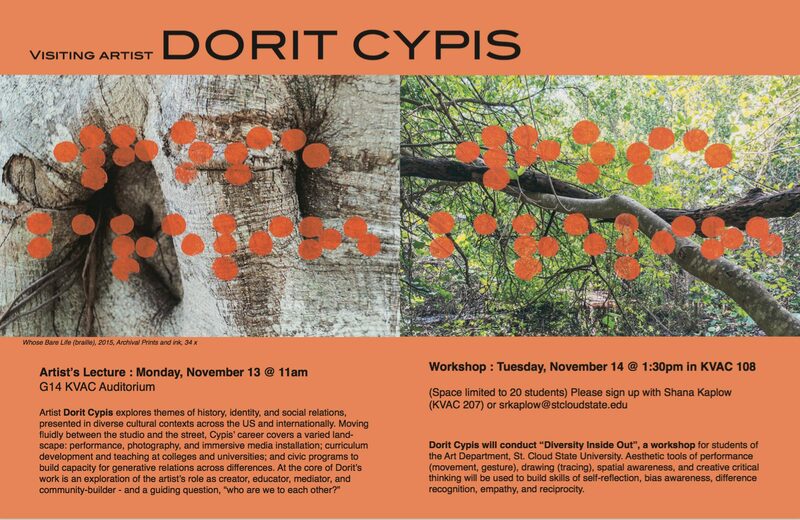 Dorit Cypis will conduct “Diversity Inside Out”, a workshop for students of the Art Department, St. Cloud State University. Aesthetic tools of performance (movement, gesture), drawing (tracing), spatial awareness, and creative critical thinking will be used to build skills of self-reflection, bias awareness, difference recognition, empathy, and reciprocity.